Derived from an earlier boat called the NAUGUS 30, originally built in 1967 by Naugus Fiberglass Industries, (Marblehead, MA) (6 built). 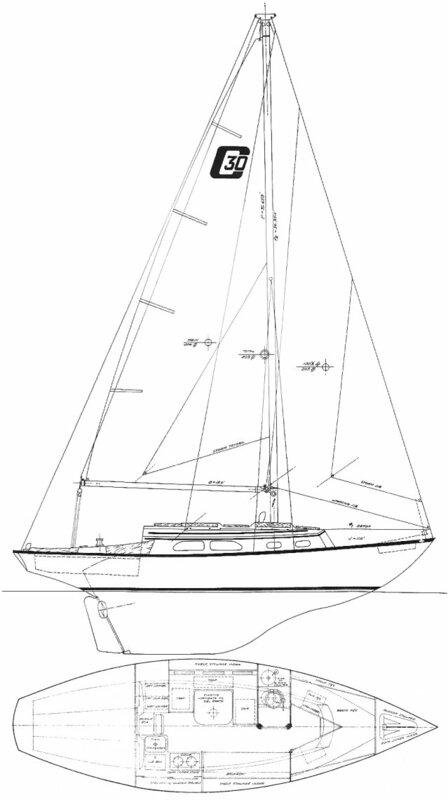 The tooling was later sold to Cape Dory Yachts and renamed CAPE 30. Thanks to NAUGUS 30 owner Ben Smith for providing extra information.